This handmade Crystal Wine Glass has been finished with Stunning Crystals from the Globally renowned Swarovski. 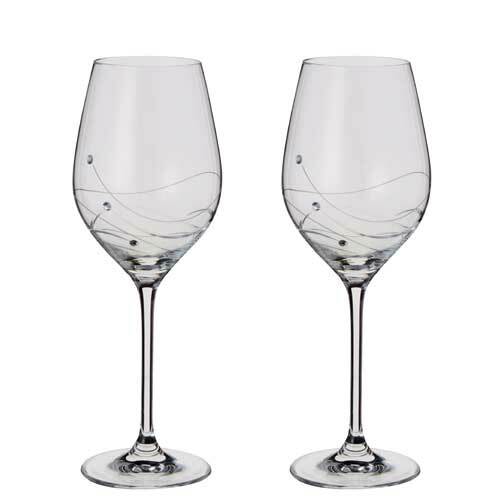 Its shape makes it suitable for any kind of wine; red, white or rose. Give your glass some glamour.